The Game grew up in Compton, listening to N.W.A. and Tupac Shakur. He witnessed and participated in things most people couldn’t fathom in their worst nightmares. 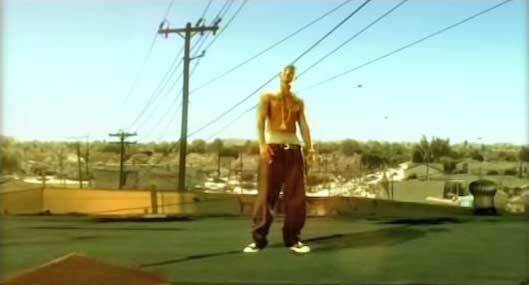 Somehow he made it out, and flourished in the early 2000’s as a protégé of 50 Cent, Dr. Dre, and Eminem. His debut album “The Documentary” debuted at #1 on the Billboard Hot 100 and the single “Hate It Or Love It” not only was a chart topping anthem, but also spawned a music video that told The Game’s West Side Story and established that West Coast rap was back. 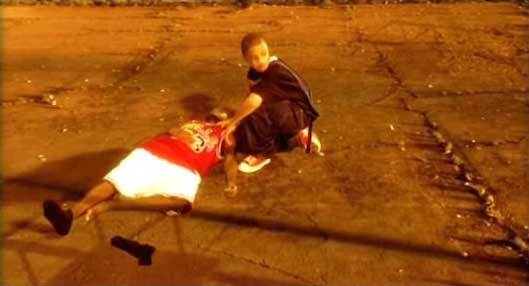 The Game and his friend get robbed on the basketball court. The video starts with guest artists 50 Cent walking us through his life in Brooklyn. The blue tint that is used here contrasts nicely with the sun-kissed filter that is used for The Game’s verse. 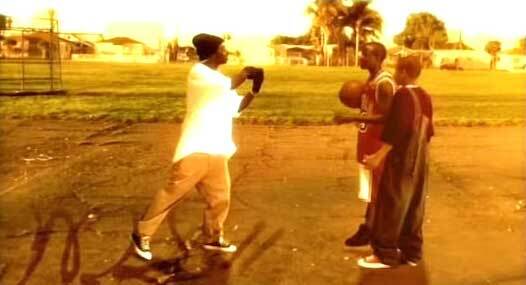 It shows how 50 Cent and The Game have similar backgrounds, but also shows how different their surroundings were. The Game enters by driving through Compton in an all red low rider. He takes us back to his childhood when his friend was murdered over a pair of shoes. The video then cuts back and forth between The Game and 50 Cent during the hook, and then focuses on The Game’s later life leading up to this moment. It ends tragically for Game’s friend, Rob. The Game’s flow is amazingly rhythmic in this song, and when coupled with 50 Cent’s melodic slurs on the hook, the song is an instant classic. The Game’s lyricism are also something to behold, with impressive metaphors and references to the West Coasts past aplenty. The video ends with Game standing over Compton as a hero, holding his young son, assuring us that he’s going nowhere, whether we hate it or love it. A man who has conquered his surroundings despite the circumstances life dealt him. Get yourself a pair of chucks to face the world in by clicking on the links below.